Astrophysicist, Dr. Neil DeGrasse Tyson, shares insights on understanding and leading teams of highly creative professionals such as scientists, artists, and technology experts. Innovation today is becoming more technologically complex, multidisciplinary, and occurring at an increasingly fast pace. The quest for innovation requires project leaders to bring together teams of highly creative individuals with diverse skills and backgrounds to work together in symphony to deliver on a common goal. It’s been said that teams are like Ferraris: High performance, but also high maintenance. This is especially true for teams of highly creative and technical professionals. I had to distinct pleasure of speaking with Astrophysicist, Dr. Neil DeGrasse Tyson, and asking him to share his insights on the challenges of leading highly creative professionals such as scientists, artists, and technology experts and the essential ingredients that foster creativity and innovation. He also talked about the common obstacles that undermine speed of innovation and human creativity. 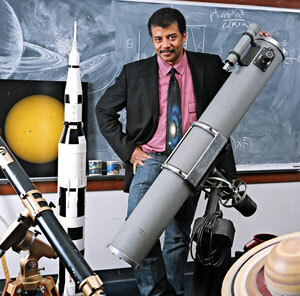 Dr. Tyson, born and raised in New York City, graduated from the Bronx High School of Science and went on to earn his B.A. in physics from Harvard and his Ph.D. in astrophysics from Columbia University. Since then, Tyson has received nine honorary doctorates and was twice appointed by former President George W. Bush to serve on commissions studying the U.S. aerospace industry and U.S. space exploration policy. He currently holds the Frederick P. Rose Directorship of the Hayden Planetarium in New York City, the first person to do so. As an Astrophysicist, what are some of the questions that you are exploring in your work? From your vantage point as a scientist, what do you see as the impact of the rapid technological and scientific changes on organizations today? You will present the keynote at Pink Elephant’s 17th Annual International IT Service Management Conference and Exhibition February 17-20 in Las Vegas. You will present on the Next Big Thing and share your insights on increasing speed of innovation and human creativity. What do you see as some of the common obstacles that undermine speed of innovation and human creativity? Today, breakthrough innovation requires multidisciplinary teams made up of highly experienced specialists with diverse backgrounds and skills. We often see teams include scientists, artists, and technology experts. 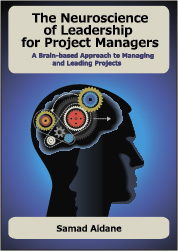 From your perspective as a scientist, what are some of the unique challenges that leaders face when managing teams with highly creative professionals such as scientists? I enjoyed the programs on brain science that you hosted on PBS NOVA ScienceNOW and on StarTalk. Talk about some of the insights from Neuroscience research that you find fascinating? Tyson is the Frederick P. Rose Director of New York’s Hayden Planetarium, a best-selling author and the go-to person for newscasters and talk show hosts when a cosmic phenomenon needs explaining. He hosted the PBS program NOVA ScienceNOW for five seasons, and coming in 2013, will host COSMOS, a 13-part TV documentary currently being produced for the FOX network. 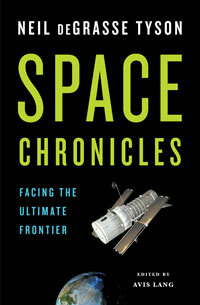 His latest book is due out Feb. 27, titled Space Chronicles: Facing the Ultimate Frontier. 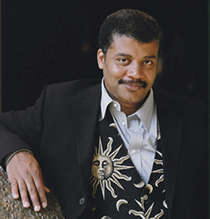 During Tyson’s impressive career in space public outreach he has authored ten books, including: Death By Black Hole and Other Cosmic Quandaries, which was a New York Times bestseller; The Pluto Files: The Rise and Fall of America’s Favorite Planet, chronicling his experience at the center of the controversy over Pluto’s planetary status, and which was also made into a PBS documentary of the same name; and his memoir The Sky is Not the Limit: Adventures of an Urban Astrophysicist. His latest book,Space Chronicles, is a candid, honest and often humorous look at what it will take for space to reclaim its rightful place in the hearts and minds of the nation. Tyson is a former member of the board of directors of the Space Foundation, is a recipient of the Space Foundation’s Douglas S. Morrow Public Outreach Award and currently serves as an honorary director of the Space Foundation.